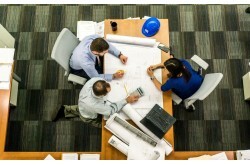 If you’d like to manage larger projects and gain more responsibility or add project management skills into your current role, then the Certified Associate in Project Management program is right for you. Learn to master the most proven methods in project management as well as exciting new techniques emerging from current industry and today's most recent research. This course introduces manual techniques perfected during the past 50 years and progressive automated techniques, all consistent with the latest PMBOK Guide. 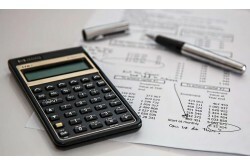 Up to date content covers measuring project management ROI, value to the organization and to customers, and much more. The course's focused approach is ideal for building strong portfolios that showcase project management skills for future interviews. Do you love working with children? Have you ever thought about starting your own home day care business? Our Certified Child Day Care Manager program can provide you with the information to take the first step toward gaining a rewarding career in education! Through this program, you can learn the key concepts involved in being a child care worker. You could even learn some basic ideas on how to start a home day care business! A child care worker is a special person who helps children grow, learn, and gain new skills every day. A child care worker also provides behavioral and emotional support so children feel safe and comfortable while with a child care worker. Love working with children and want to learn techniques for supporting their development? This Child Development Associate course provides practical advice to prepare you for your role as an educator of children ages 0-5. Learn the principles of providing ultimate learning environments, developing engaging curricula for various developmental stages, meeting children’s social-emotional needs and interests, and communicating and interacting with parents and staff professionally. This course covers the basics of early education and positive guidance strategies to enhance physical, cognitive, language, social-emotional, and creativity development. Do you love being around children? Have you ever thought about becoming a child care worker or wondered if you could start a home day care business? Child day care management distance learning course can provide you with the information to take the first step toward earning an attractive child care worker salary. With our child day care management distance learning course, you can learn the key concepts involved in being a child care worker. 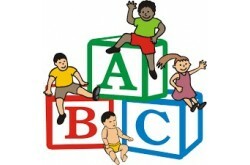 You could even learn some basic ideas on how to start a home day care business! A child care worker is a special person who helps children grow, learn, and gain new skills every day. A child care worker also provides behavioral and emotional support so children feel safe and comfortable while with a child care worker. Corporate events span all industries and are planned for a variety of occasions and celebrations. Corporations and their employees celebrate many milestones and accomplishments within the life span of the growth and evolution of its people, products, and successes. Corporate events may range from a new product launch to a retirement dinner. This course will cover the many types of corporate events. More Specifically it will provide a detailed guideline on how to design the event, plan the event, set budgets, execute successfully, review performances, and charge for services. 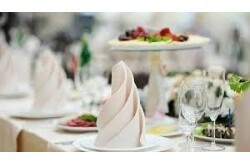 Become a corporate event planner today! Whether a celebration, business conference, industry show or convention - event planners are often an integral part of a successful event. Covering these intriguing and recently developing issues, this program provides an overview of family law. Students will explore fundamental topics including marriage, divorce, annulment, property division, parenthood, adoption, custody, support, and family violence as well as emerging areas such as legal recognition of non-marital families and assisted reproductive technology. Students will study all of these points with special attention to the legal principles, ethical issues, research, interviewing, discovery, drafting, and other essential practice skills that make up the work product surrounding this field. This program is designed to prepare successful students to work in various Homeland Security agencies at a local, state or federal level. Specifically for those students whose career-focus is in counter-terrorism, counter-intelligence, national security or government security, this program is a great way to examine new and different subject areas within this growing field. The program provides an overview of the elements involved in the homeland security function, as well as the challenges critical infrastructure managers in government and industry can/will face while maintaining mission operations and staff accountability in the midst of multiple overlapping roles and responsibilities in our rapidly changing world. 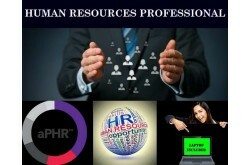 The term "Human Resources" covers a wide range of activities and employment positions. As a HR Professional, there are many careers you can pursue including Specialist, Expert, Manager, Executive, Consultant, Training & Development Manager, or even an International Specialist. Some of the activities that fall to HR professionals include hiring and firing employees, managing employee communications, settling employee disputes, creating benefits programs, navigating government regulations, and setting up policies for measuring employee performance. Due to the wide range of employment opportunities the salary range for a HR Professional can vary greatly. According to the Bureau of Labor Statistics the 2015 medium pay range for HR Professionals is $38,100-$104. This program offers an in-depth view of the role of legal assistants play within the American legal system, specifically with respect to technology in the law office. Examining the myriad of skills legal assistants use everyday alongside the typical legal working environment, students will explore technology that helps to advance the goals of large law firms and individual attorneys. This course provides an introduction to computer hardware and software fundamentals necessary to the successful operation of a law office, including an overview of traditional legal software, specialty law office and case management software, and litigation support software.